Small toy storage wasn’t something that I needed to consider until my son turned one. Now that he is at an age where I’m not too worried about him putting things in his mouth, we have a lot of smaller toy pieces and parts to deal with. The worst offender of all has been puzzles! It is so difficult to keep all of the pieces with the correct puzzle board. I tend to find them scattered throughout the house, usually in the most random places. I think I have found the perfect solution though! 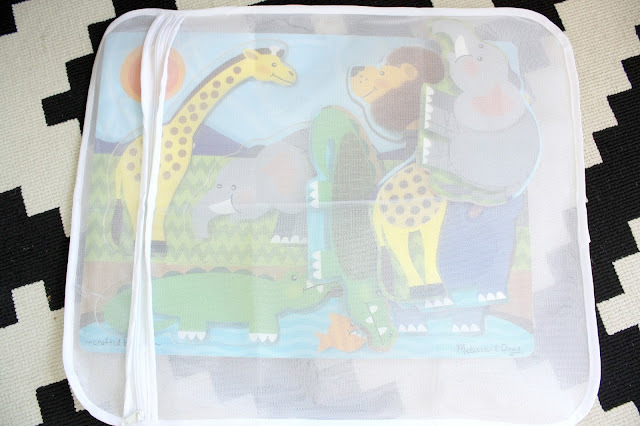 I bought a few mesh laundry bags and they are the just the right size for our puzzle boards. For the larger puzzles, I store the board and the pieces together in a bag. 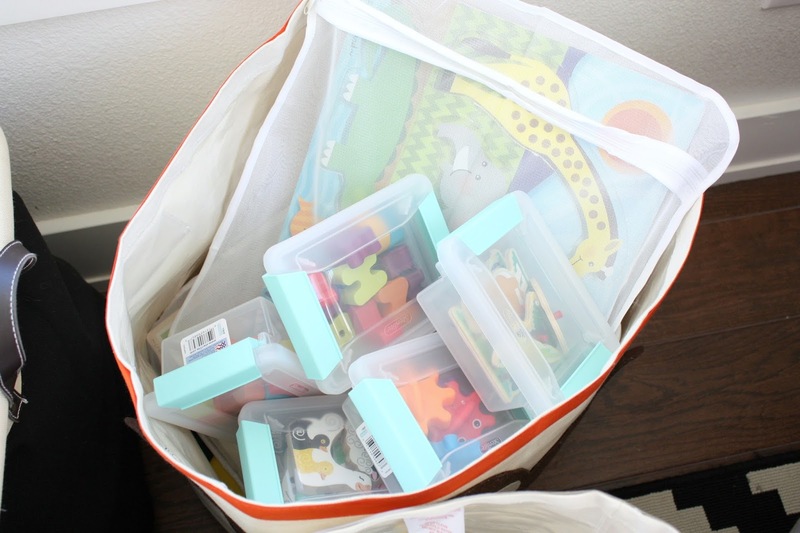 The puzzle boards that have several small pieces are stored in one of his toy bins, and the pieces are stored separately in small storage containers that I picked up at Target. My son loves digging through his puzzle bin and choosing a puzzle board to play with. Although, his favorite thing lately has been opening all of the containers and dumping the pieces out…I should have known that he would like the container more than the toy itself! We have another baby due in November, and I have a feeling our house is about to be overtaken by toys. Do I just go with it, or do I try to contain the chaos!? 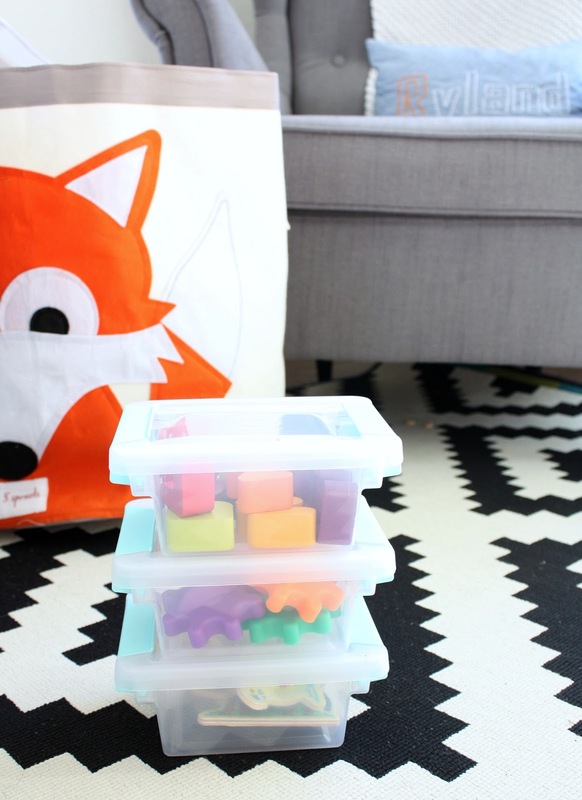 Feel free to share all of your small toy storage secrets with me! The Trofast storage system from Ikea is amazing!